Sticks and stones may break your bones, but words will never hurt me. I laugh at that one. Do they not know the power of me? Do they not know what I can do? I am words. Only words. The funny thing about me is that I may move you, my reader. But yet another of my readers may not be moved at all. I can make you feel sad one day and you could look at me another day and feel happy. Fickle thing feelings are. It all depends on how you feel when you read me. Some people are so good at using me that you can remember what they wrote many years later. Other people, even though what they wrote touched you at the moment, you forget the next day. Sometimes the next hour. Put me to music and it is a whole new ball game. Music from yesteryear can evoke many memories, some good, some bad. I can make you move fast or slow. Well, technically it is the music but I control how the music is played. Do you remember the song on the radio the first time you were kissed? Your wedding dance song? The day you lost a loved one? I can bring you happy and sad memories, all in the same song. I can make you smile, I can make you cry. Happy the first time you heard it, sad when you hear it now. Do you see the power I have now? When spoken in truth I can help people live a better life. Sometimes I have to be spoken bluntly in truth. The receiver of me may not like me. When spoken in truth I am all powerful. No one can stand against me or deny me. I can make you feel good about yourself. When spoken in lies, I can lead people astray. Lead them from where they want to be. Unfortunately, there are many people in this world that use me only to lead people astray, and they are quite good at using me this way. You won’t know until it’s too late that you have been following lies. I can bring you down, make you feel worthless. How can you know when I am being used for good or for evil ? Am I being used in the same way consistently? Do I stand the test of time? Do I build you up or tear you down ? 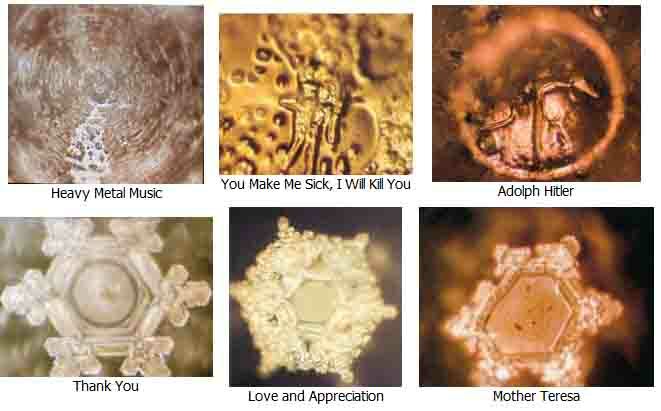 If I can do that to water, imagine what I do to someone you are talking to. It has also been proven that positive words can actually change your brain structure. Positive words, such as “peace” and “love,” can alter the expression of genes, strengthening areas in our frontal lobes and promoting the brain’s cognitive functioning. They propel the motivational centers of the brain into action and build resiliency. Conversely, hostile language can disrupt specific genes that play a key part in the production of neurochemicals that protect us from stress. Humans are hardwired to worry — part of our primal brains protecting us from threats to our survival — so our thoughts naturally go here first. However, a single negative word can increase the activity in our amygdala (the fear center of the brain). This releases dozens of stress-producing hormones and neurotransmitters, which in turn interrupts our brains’ functioning. (This is especially with regard to logic, reason, and language.) “Angry words send alarm messages through the brain, and they partially shut down the logic-and-reasoning centers located in the frontal lobes,” write Newberg and Waldman. 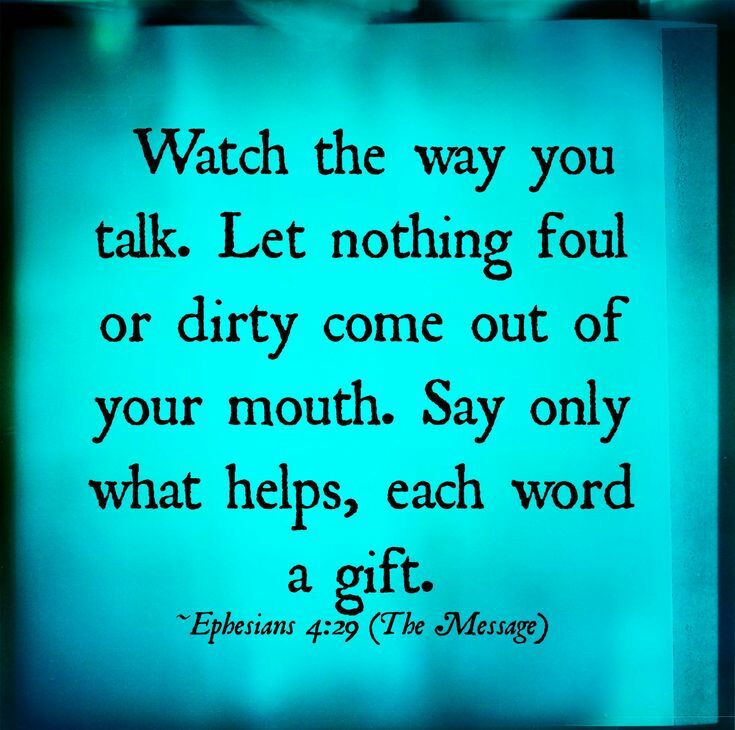 Gives new meaning to to the phrase if you have nothing nice to say, say nothing at all doesn’t it? Does anything about me that you have read hit home? Does it make you think more before you use me? If you use me the correct, positive way, I can change your life. I can change your brain, your way of thinking. I can change the environment. Be wise, I am a weapon, I am a healer. But what do I know, I am only black lines on a piece of paper. I am only words. 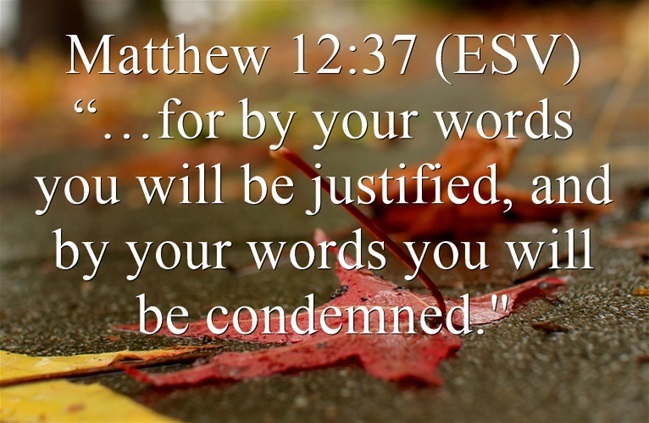 Words ARE power. Be they good or bad. After my parents died, I heard few positive things. I think I’m ready to post a whole bunch of word affirmations & scriptures on the wall where my laptop is. I’ve got to reset my thoughts to accomplish HIS WILL! That is his intent, @Robert. As much as I’ve tired of tears, he’s told me this work will close the books on shadows of yesteryear. We put a bit in a horses mouth to control the horse, too bad that we do not have bits for people. Power of life and death are held in the tongue. 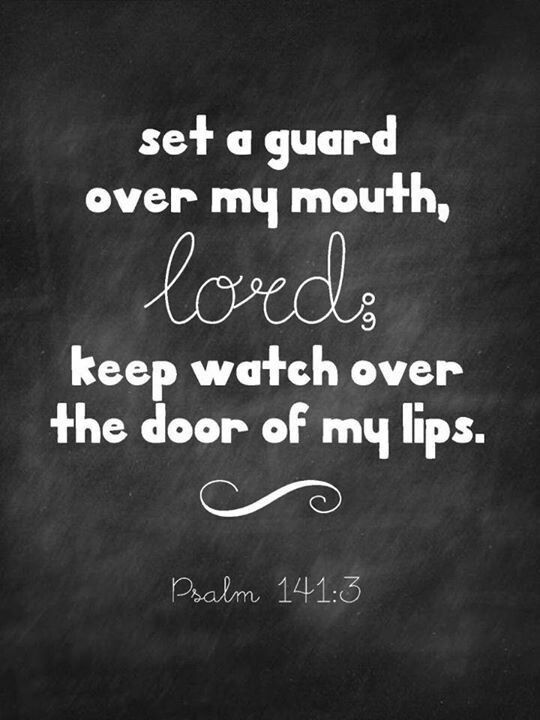 We must set a guard over our mouth at all times. We are bombarded with negative words and images every day. It’s no wonder things are the way they are. 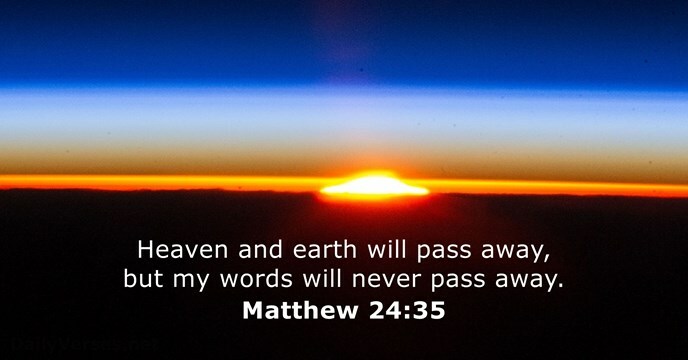 The world is literally dying for the Word of God. So is a lot of ‘entertainment’. This is a beautiful and thought-provoking article that all should take to heart.